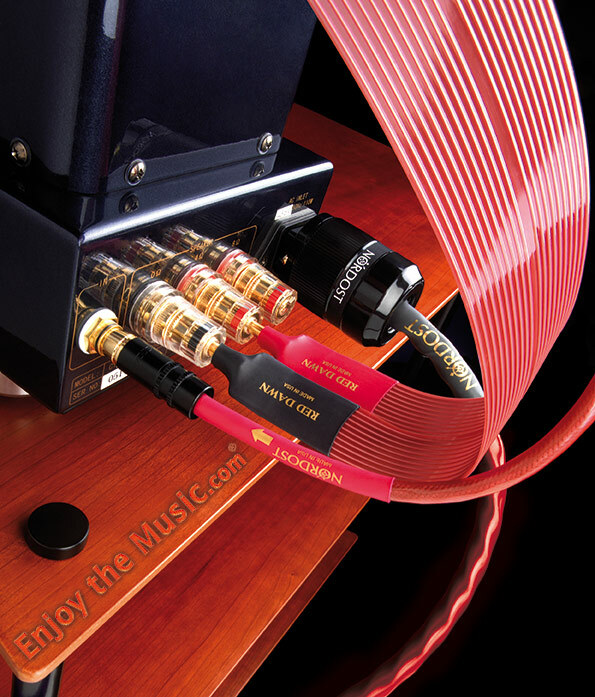 Nordost cables leaves me speechless. Several years ago, at the beginning of my career as a reviewer, I had the opportunity to work with audio and video cables almost exclusively. At the time, it felt like regardless how amazing a cable sounded there was always another to take its place. Very few of them really stood out within my mind. Even those that stood out rarely became part of my reference system because there was always another one with different characteristics. The Nordost cables were different. Back then I reviewed both the Red Dawn and Blue Heaven ranges of cables. Since my reviews centered around home theater systems, my evaluation consisted of nearly all their offerings within these families. Their flat design was unique and their performance inspired. Though they were never the least expensive, their design and abilities, remained on of my favorites. In fact, the Red Dawn audio interconnect are one of the few cables that have remained in my reference system since those early days. Today, Nordost Cable has substantially more classifications and cables than they did when my original reviews were published. They have created a hierarchy of cables. The highest classification relates to the product's range. There are four of these classifications, Leif, Norse 2, Valhalla 2 and Odin/Odin 2 and they range from entry-level to cost-no-object reference cables respectively. Within both the Leif and Norse 2 classification, the hierarchy continues with further breakouts into smaller families of products. These smaller families also contain cables such as USB, HDMI and 4k UHD cables many of which only exist in one group. 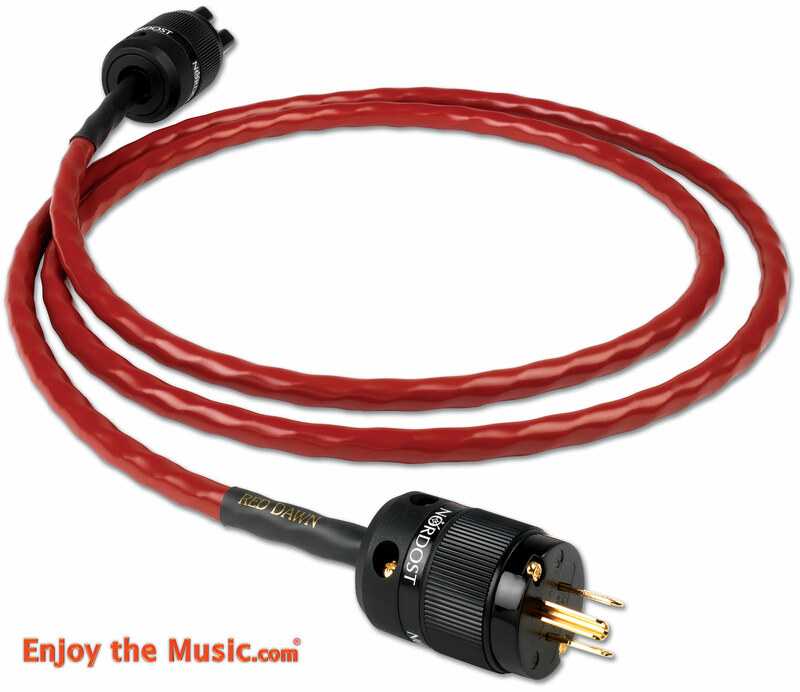 Earlier this year the opportunity to review Nordost cables presented itself. Obviously, or perhaps not so obviously, I jumped at the opportunity. It represented not only a chance to evaluate the latest generation of my beloved Red Dawn cables, but also the first time to evaluate a later generation of a previously reviewed sample. The Red Dawn product line it consists of audio interconnects, speaker cables and power cords. These satisfied about 80 percent of my requirements for the review. The remaining cables came from other Nordost families. The USB, digital and HDMI cables were part of Nordost's Blue Heaven collection within the same Leif class of products. The headphone cable came from their Heimdall 2 collection that is part of their Norse 2 classification. Finally, to complete the complement of cables, Nordost provided me with their Qb8 power distribution system, which replaced my Monster Signature Power system during the review. After comparing my notes with the original reviews, I started setting installing the cables and power component into my system. Overall, the cables were as easy to install as the first generation. The biggest change lie in the interconnect configuration which changed from flat wire to more traditional round wire configuration at least visually. 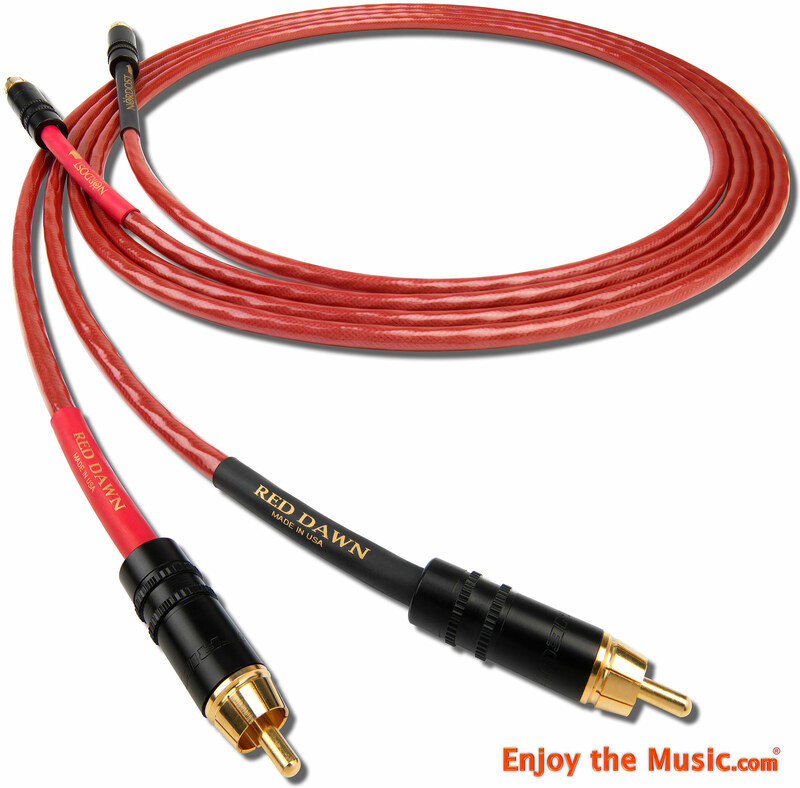 Internally the Red Dawn audio cables have undergone a serious change in configuration. They now have better insulation, improved construction and as mentioned earlier a different cable dynamic. Although the speaker cables still rely on their original flat wire construction, they have benefited from the experiences over the years. They share the same cable insulation material and component metal, though with a slightly different configuration, and benefit from the same build techniques. Additionally, as with their older counterparts, they have unique Z-plugs available that seem to work far better than many on the market today. Firstly, I want to explain that this review is primarily concerned with the Red Dawn audio interconnects, both balanced and unbalanced, the Red Dawn power cables and Red Dawn speaker cables. Although there were other cables and components included in the review, they were not the main component. However, in order to be complete and fair, the additional components will be mentioned in a section later in this review. One selection that captured this lofty statement was Sir Colin Davis's recording of Nielsen's Symphony Nos. 4 & 5 by the London Symphony Orchestra. This Symphony and especially the FLAC 24-bit version on Bowers and Wilkins's Society of Sound, contains a fairly hefty amount of detail which unfortunately tends to become somewhat lost in most playback situations. Luckily, the Red Dawn cables were able to meet the challenge. Although there was a slight loss in the bass range during some of the passages, overall the sound was immediate and encompassing. The music was lifelike and possessed a certain ease. In addition, there were certain passages, especially during track 2, Symphony No 4 ii Poco allegretto, where the playback reviled subtle nuances, which had previously gone unrecognized. The Soundtrack, Interstellar by various artists which was downloaded from HD Tracks in 44kHz/24-bit AIFF format served to illustrated once again the resolution capabilities of the Red Dawn cables. The first track, Dreaming of the Crash, is a challenging selection in most cases. The passage by Hans Zimmer contains complex music, but sounds befitting a violent wind and rainstorm. Unfortunately, many times the storm does not resolve itself correctly and the result is a cacophony of noise that detracts from the recording. However, this did not occur and instead the full weight of the score came through without notable degradation. Pink Floyd's Dark Side of the Moon, is one of my favorite review selections. The SACD version contains some of the hardest material to reproduce because it tends to be somewhat soft and extend into the treble and bass. In addition, the somewhat lifelike qualities are easily lost when too much definition is lost or the system is overwhelmed. Once again, the Red Dawn cables held their own against cables costing substantially more. In fact, although my intention was not to compare the older cables to the newer ones, this was one time where I could not resist. The result was consistent with all my other observations. The newer ones simply had more detail and definition making them far more capable of better performance. In order to round out the genre of music selections for this review, the final one is James Taylor's Flag on Mobile Fidelity's record label. The original Columbia pressing is full of depth and breath. However, the Mobile Fidelity version takes it to the next level. James Taylor's voice is far more captivating and full-bodied while the accompanying instrumentals more detailed and lifelike. In fact on track 3, Daytripper, the level of naturalness of the selection is staggering and changes even one's feeling while listening to the track. Against this backdrop, the Red Dawn cables performed admirably. They definitely were able to carry the level of detail and sonic signatures required to achieve a spectacular reproduction of the material. This review would be remiss if it did not specifically call out the power cables in addition to the audio cables. They were able to lower the overall noise level and create a darkness that allowed the playback to shine. Likewise, they did not filter or decrease the fidelity by decreasing the efficacy of the power like many of their counterparts within the same price range on the market today. It seems the right time to bring up the other cables and power distribution components, which Nordost provided. Firstly, the Qb8 is the base component of Nordost's QRT power product line. It serves as the gateway through which power flows. Connected to the building's electric through a power cord of your choice, in this case a Red Dawn one, it aids in the distribution of “distortion less” power according to the company. The full details will follow in a subsequent review in the hopefully near future. However, suffice it to say, that it replaced my current reference system power system to the point that it is likely to become a permanent addition. 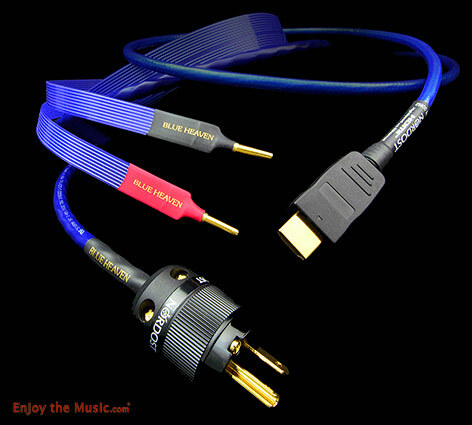 Secondly, the digital and video cables were part of the Blue Heaven family of products. Blue Heaven represents a step down in audio and video cables. However, since Red Dawn does not have digital or video specific cables, it does not hold true for everything, specifically the USB, digital and HDMI offerings. Again not specifically the subject of this review, they did exceptionally well in the playback system. They did not adversely affect the playback system. In fact the HDMI and USB cables were two of the finest examples of superior cable technology I've come across to date. Both improved performance so notably that once again I am considering including them in my reference system. Finally, the Heimdall 2 headphone cable, which I added to my reference system during this review, was a welcome addition. Again not the subject of this review, adding it to my Sennheiser HD-800 headphones made a staggering difference in performance. Although they have always so detailed and unforgiving that poorly recorded music or substandard performance is almost highlighted, with the addition of the new cable they are almost eerie. 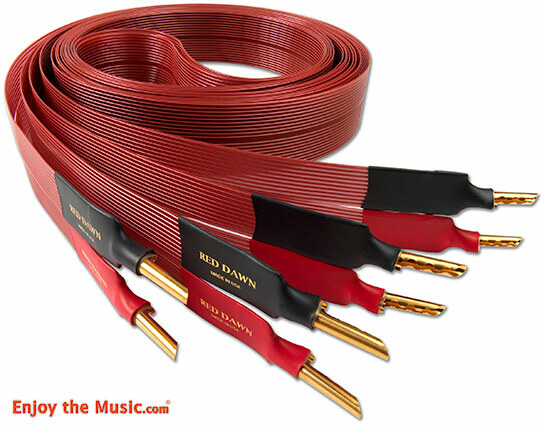 In a way it was almost unfair to add them into my system because they showed in some cases where the Red Dawn lacked certain elements and hinted that with higher fidelity cables more would be revealed. That said, it is exactly why people upgrade their cables over time and validates my choice. My experience with the Nordost cables leaves me speechless, if that is even possible. Overall, the difference is nothing short of spectacular. In fact, during the review several friends and colleagues remarked that the reference system for this review has never sounded nearly as good. Personally, I have to agree with them wholeheartedly. I thought the old cables made a huge difference in my system, but the new ones overshadow them exponentially. In conclusion, if you are looking to build a new system or upgrade an existing system, you owe it to yourself to audition these cables. They represent a serious value and stellar performance within their price range. In my case, they have left me with the unchanging fact that I need to upgrade my cables to at least this level, because anything less would be unthinkable.